Albee Baby offers 15% off Mima Kids Gear Sale. No sale tax in MI, NJ, NY, WA, PA and SC. 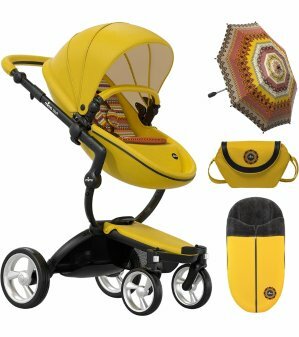 Features: Easy conversion from seat to carrycot. Unfasten the zip and facilitate the transformation in 15 seconds; Front wheels with 360 degree swivel and wheel block. Rear wheels feature a simple break system that is easily executed by the foot; Innovative materials; EVA covered in polyurethane meaning the pushchairs are lightweight, resistant, breathable and easy to clean; Simple and quick fold/unfold.